Karina's Kreations: Stampin'Up Wonderful Moments Card! I'm featuring the Wonderful Moments stamp set this week. Plus it has a fashionably late birthday sentiment which for me is very important. My birthday cards are always late!!! 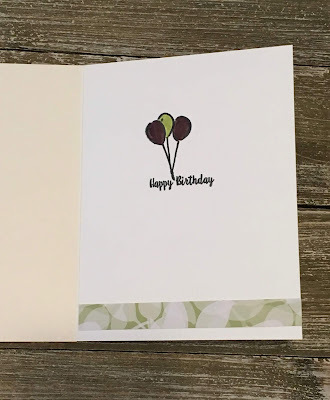 I used the the Retiring In-Color Stampin' Write markers on my card. Stock up on the re-inkers, paper, markers and coordinating ribbon before it's too late. I noticed that Lemon Lime Twist is getting low on inventory already. Live in Canada and don't have a demo? I would love to help you. Here's the supplies for my card. You can click on a picture to place an online order.